If there is one thing in the world I can’t live without.. it’s a bit of bling! 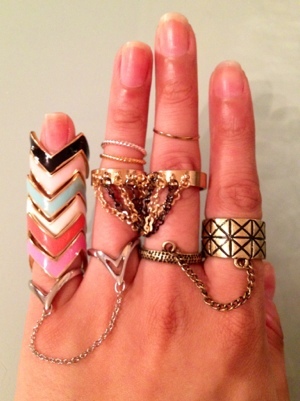 I love jewellery and everything that comes with it! The drama, elegance, and femininity.. It fabulous! 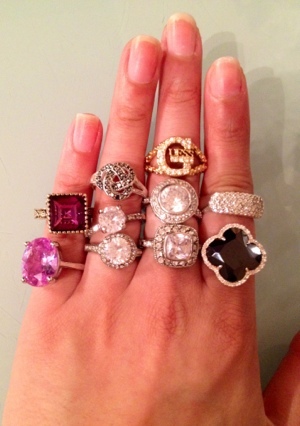 I always get compliments on the jewellery I wear and especially my rings. I have quite the collection so thought I would show you guys some of the stash I have! 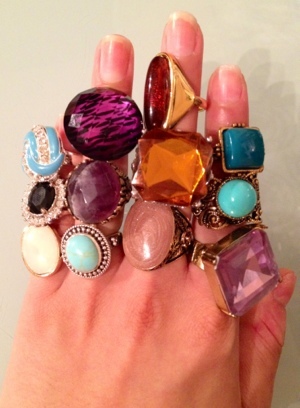 If you have long and skinny fingers and you find that most rings are big for you, go for large and bold rings which will widen out your hands a bit and make them look fuller. You’re actually at an advantage though cause most ring types will look fantastic on you. If you do wish to go for something elegant and small, try to paint your nails a bold colour and this will enhance the simple design of your jewellery. If you have Medium sized fingers but quite a lot of skin on your fingers, don’t go for small designs at all as often, rings can look too tight on your fingers and I’ve seen so many people with red and painful looking hands because their rings don’t fit them. 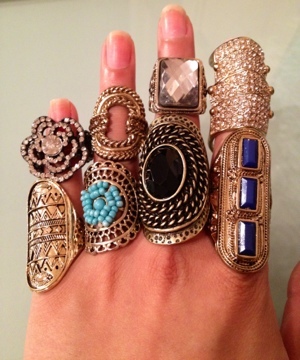 Go for mid sized rings with a pattern, design, large stone etc as these will compliment your lovely fingers more. MAKE SURE YOUR NAILS ARE CLEAN! I always ensure my hands are clean and have a nail file attached to my keys, in my make up bag, in my car and my bedroom, so there is no excuse for my hands to have anything dirty on them. Hands are a gorgeous part of a woman! No matter how insecure you feel about your face, body or weight, your hands are what you use every day in your life with interaction whilst talking, touching, interacting.. EVERYTHING! All hands are gorgeous and you can make your hands look nice without having to spend thousands of pounds and dollars on them.. Don’t just make them look good for yourself but see the reaction of your other half. Every time I have a nice nail varnish colour on my nails, Mr. A always compliments them and can’t resist giving my hands a feel. 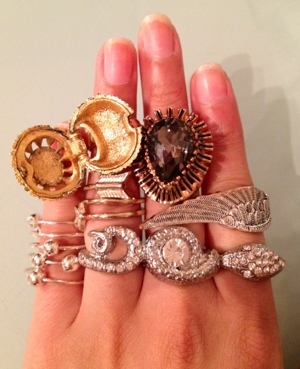 Wearing rings and jewellery is just another way to enhance them.. HAPPY DAYS! THE RULE IS SIMPLE.. Just treat them clean and keep them keen!